Four Cheese Lasagne Spring Rolls! Celebrate National Hamburger Month with this delicious treat and fun appetizer for the whole family! Hamburger Helper® has always been a simple way to feed our family of four. Whenever we are a pinch, we know that we can count on having a warm and hearty meal in 30 minutes. Sometimes the girls are not craving a piping hot bowl of food after a long day in the sun. So, Dara and I decided to create something they would enjoy with a cold drink and cool dips to tantalize their taste buds. These can be used as appetizers for grown folks and a light after school treat or meal for the little ones. Best of all, they are simple to make! Make the Four Cheese Lasagne! 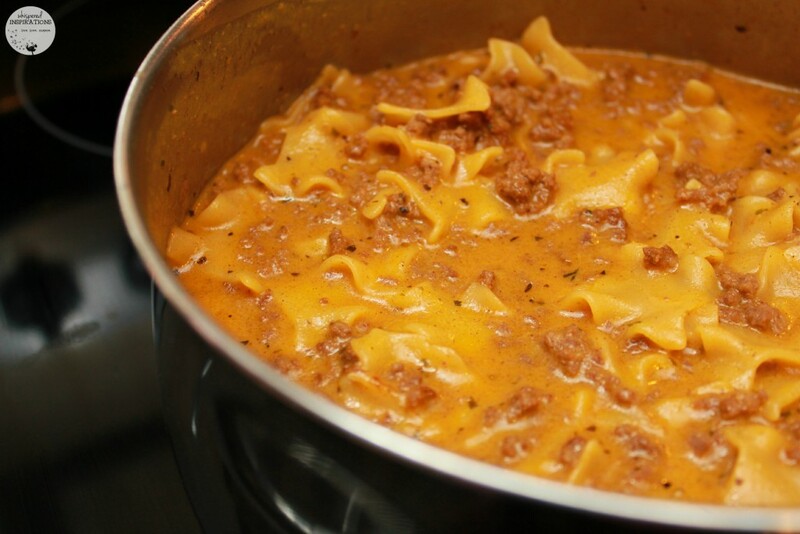 If you always have Hamburger Helper® in your pantry, you know how simple it is to make. I usually add extra spices to my beef while I brown it and add a little Latin flair with some adobo and other various spices. Of course, that is optional but, always a must for us in our house. A bit of salt and pepper will do just fine too! Follow the box instructions and make your Four Cheese Lasagne. In a bowl, whip up one egg. You can opt to only use egg white or you can use the entire egg. It is entirely up to you! We used the whole egg and proceeded to separate the Spring Roll shells so that they were easy to grab and go! You can stack them up again or crisscross for easier pick up technique. 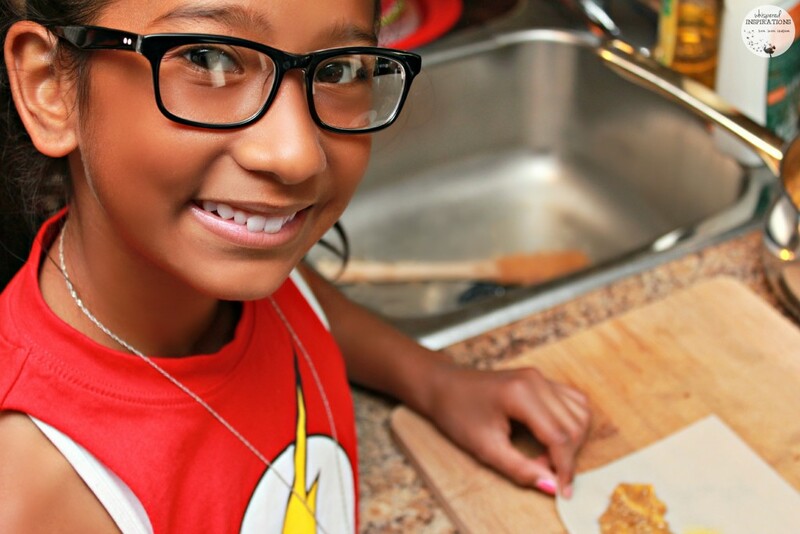 This is the perfect time for little hands to help in the kitchen and really make it into a family affair! Even our teeny, tiny Mimi made her own with guidance. Gabby got the hang of folding and rolling really quickly. It was the perfect weekend activity and there is nothing more fulfilling than making and then eating your own masterpieces, right? It is really quite simple. So simple that little kids can make them! So don’t feel overwhelmed! Once you’ve cooked the Hamburger Helper® and allowed it to sit and cool, you’re ready to start. You spoon on a dollop and spread it horizontally, apply egg wash and rinse and repeat! 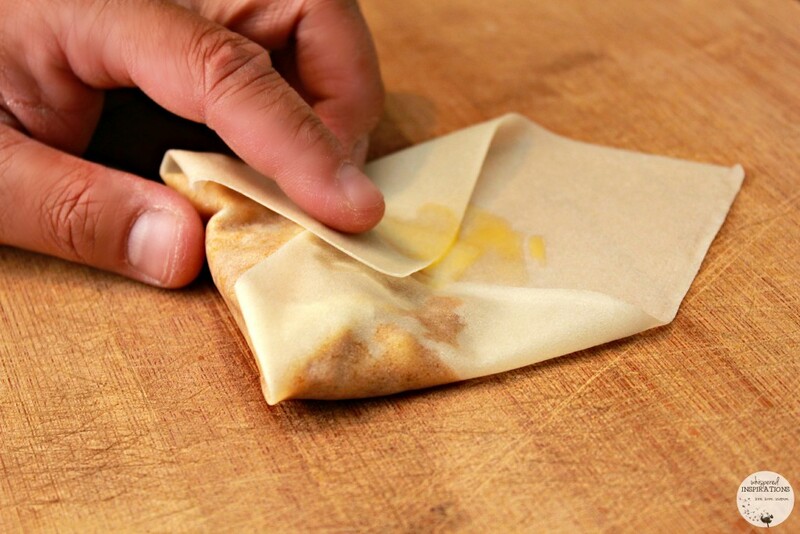 The best way to make sure it is sealed is by applying egg wash to tips and corners! Once you get going, you’ll be on, well, a roll! 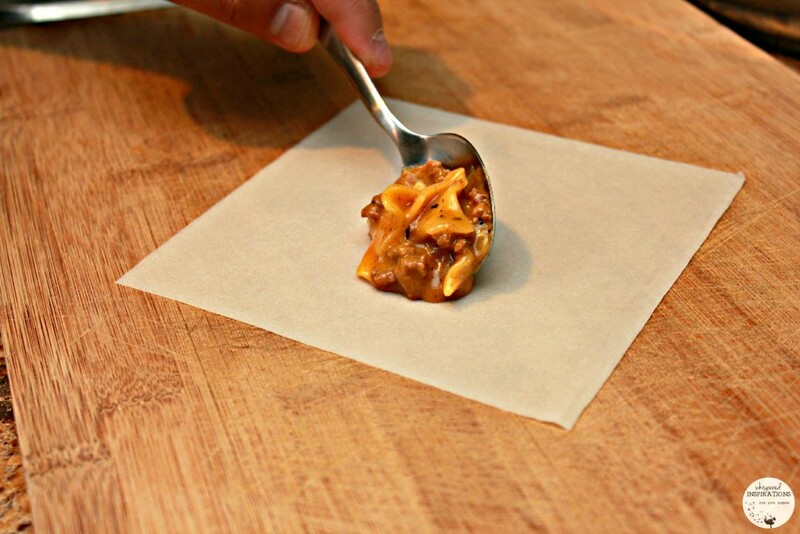 A fun and easy fusion made with Hamburger Helper®. Perfect for appetizers or a light appetizer or meal. 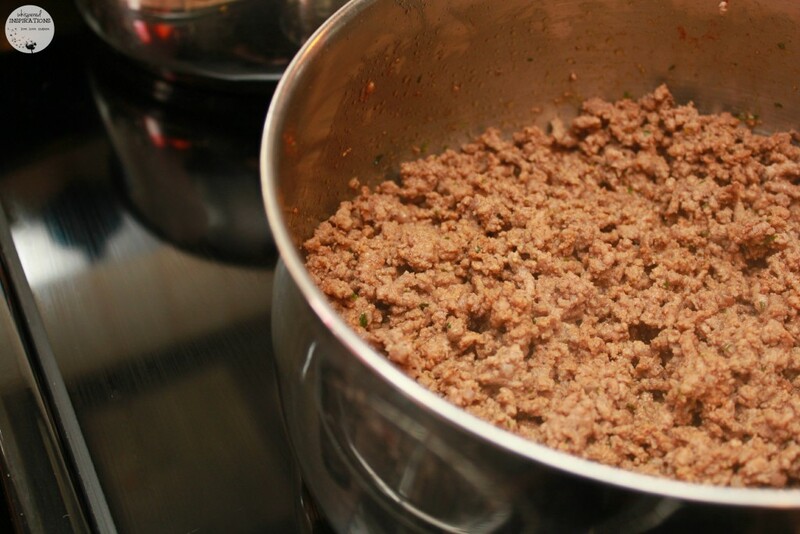 Brown your extra lean ground meat. Drain beef if needed or to own discretion. Follow Hamburger Helper® box cooking instructions. Let Hamburger Helper® sit and cool. In a separate bowl, whip 1 egg until completely whipped. 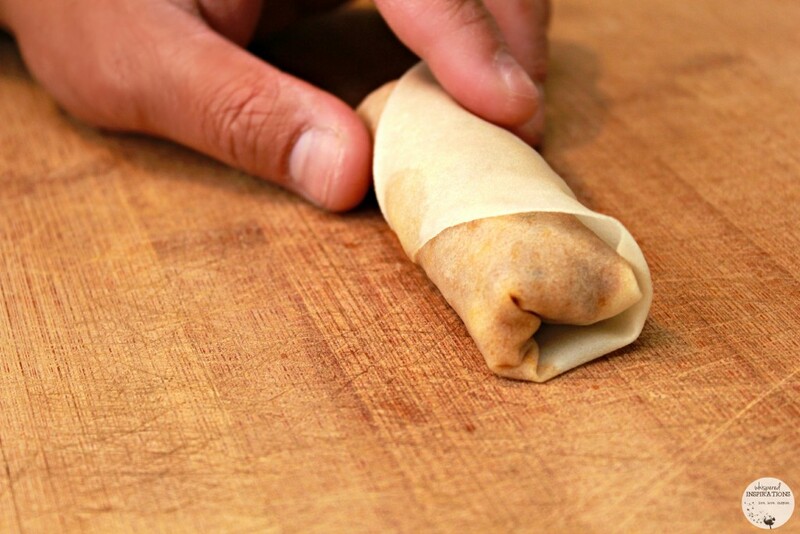 Separate the spring roll shells and criss cross for easy pick up while prepping. 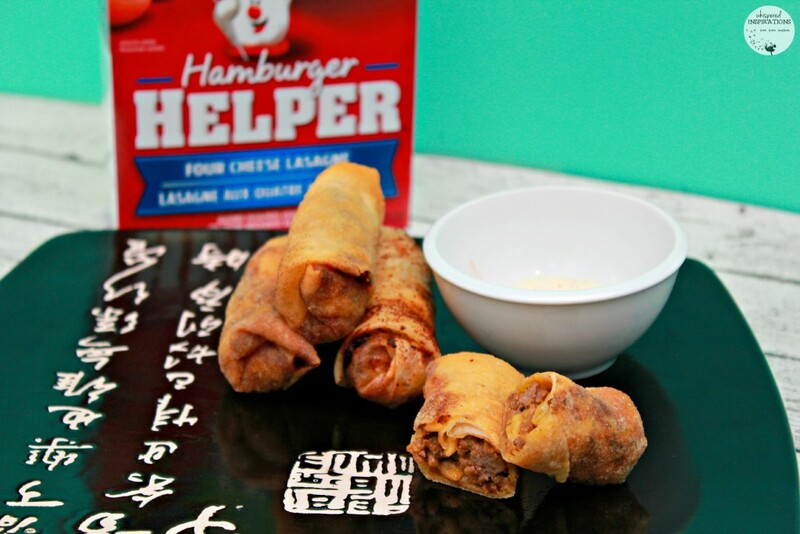 Once Hamburger Helper® is cooled, use spoon to add dollops of mix onto spring roll shell. Position the mixture with the a corner at the top and leave room for both corners on the sides. 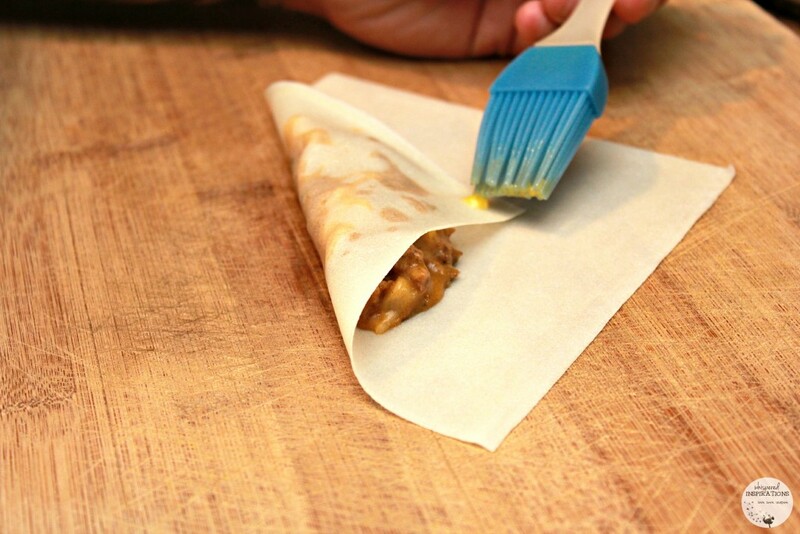 Use brush for egg wash and apply to tips and corners. 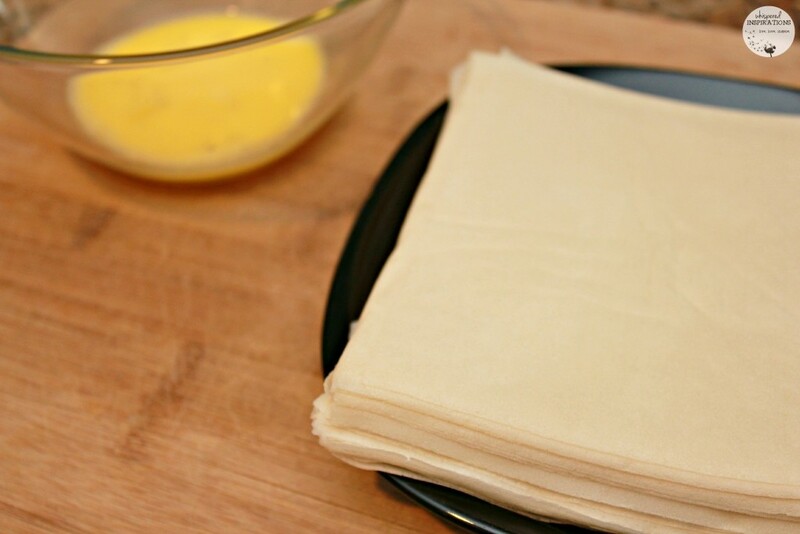 Fold in the top corner and fold under mixture. Egg wash corner and fold towards the center, make sure to square it out. Once both sides are secured and squared, roll entire contents towards the bottom corner. Roll and you are ready to prep all of the shells. 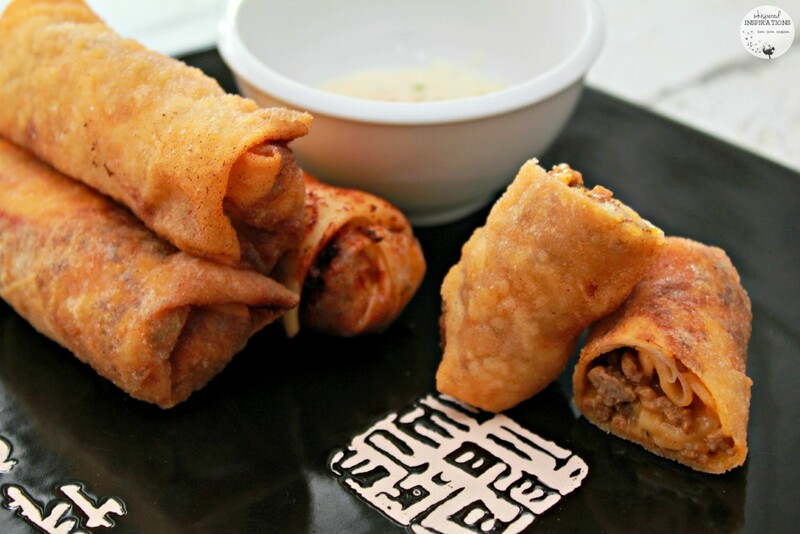 In a pot or deep fryer, heat oil and once it is ready, drop the spring rolls in until golden brown. Once browned, remove from heat and place on paper towel lined plate. Serve with desired sauces and enjoy! 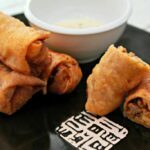 While frying the spring rolls is something only adults should do, the kids will feel accomplished by helping prep and roll the spring rolls. They will also love taste testing different dips and sauces. It makes for a fun afternoon activity and interactive family dinner. You can serve with veggies such as carrot sticks or celery and you can bet that they will be gobbled up. Well, they are creamy, cheesy and meaty! The noodle become a bit firm and complements the spring roll shell. You can always dip yourself into culinary perfection too. Just pick a dip! They were an instant hit and I know they are now a favorite for our girls. If you are ready to have some fun and make a quick dinner or fun weekend recipe, get your coupon now! Visit Hamburger Helper®, here.